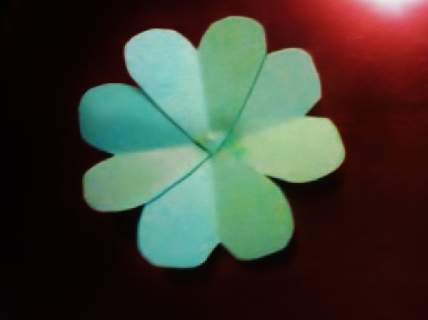 This ring can easily be made by a 2" X 11" strip of paper. Have the children cut off the bottom two inches of the strip and then cut the 2" by 2" into fourths, we will only be using two of the sections. Next have the children cut our four hearts of the same size from the remaining strip of paper. 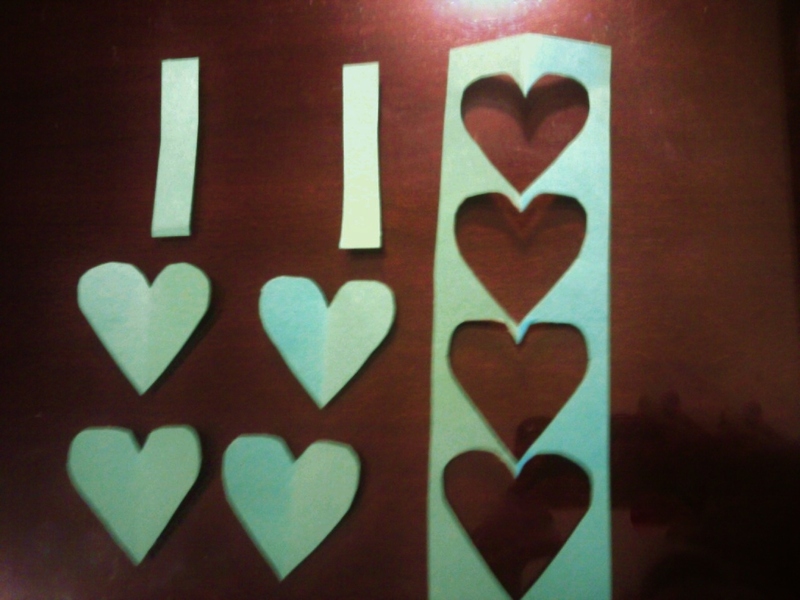 Glue the four hearts together by the points. 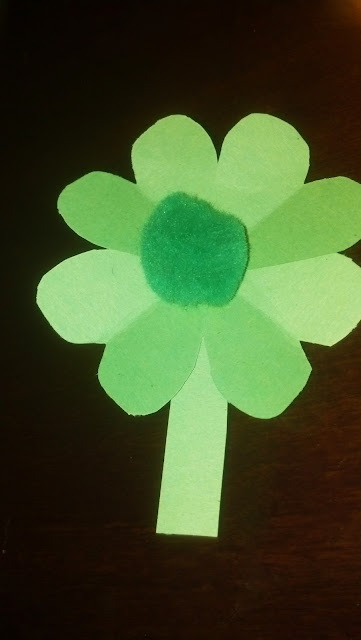 Glue one of the short pieces of paper on as the stem. Roll a second piece to be used as the band of the ring gluing or taping it to the back of the clover. 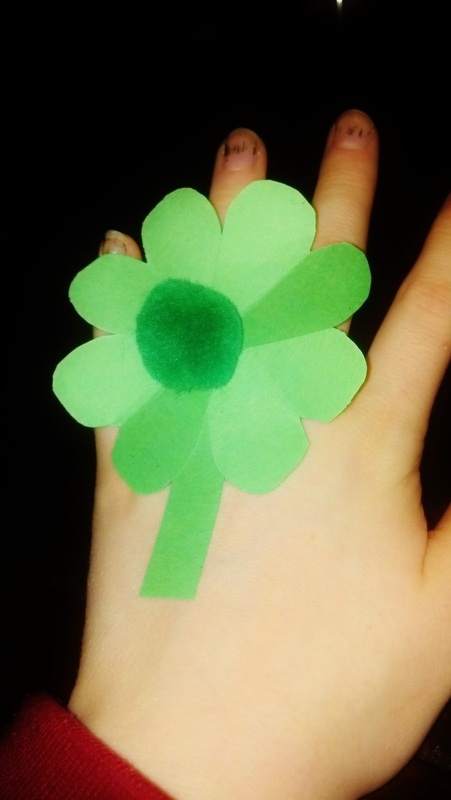 Allow the children to decorate the ring. Here we simply added a puffball center. 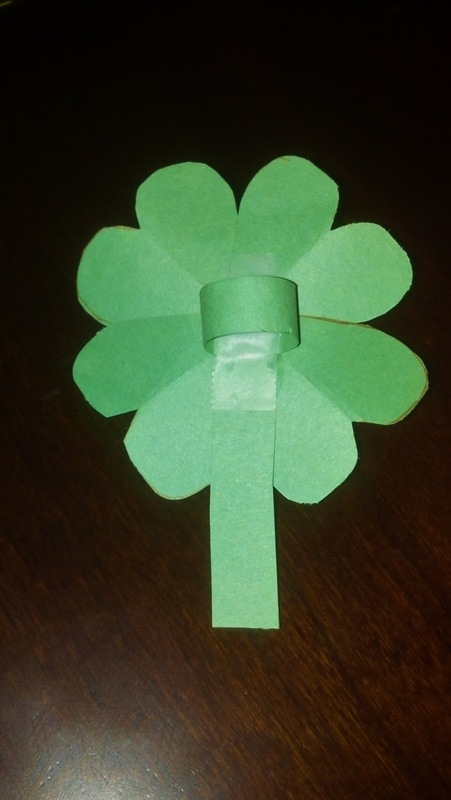 Have children make these the day before saint Patrick's day so the children can put them on as they enter the classroom the next day to help keep the pinching to minimum.